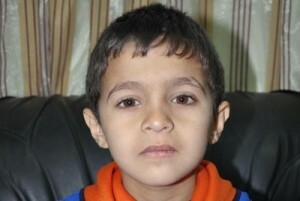 He is just six-year-old but is making his engineer parents and Syria proud with his penchant for number crunch. Abdulqader Muwafaq al-Karki from Daraa Governorate is skilled in the four basic operations of elementary arithmetic and solving equations of the first and second degree, according to a report circulated by the Syrian news agency, SANA. The boy has an uncanny skill for solving two-digit mathematical problems orally, said Subhi al-Mouselli, Director of Daraa Department of Education. He added Abdulqader can solve eight-digit problems in writing. According to the child’s father, Muwafaq al-Karki, who is an engineer by profession, Abdulqader has mastered addition, subtraction, multiplication, and division before entering school. “Now he can solve equations of the second degree and calculus problems for calculating the length of the hypotenuse in a right-angled triangle using the Pythagorean theorem”. Says the proud father: ” Our son began adding numbers up to a thousand orally since the age of three”. By the time he moved into the second grade, Abdulqader could multiply three numbers orally in addition to master four basic operations in fractions and decimals; in addition, he also could solve equations of the first degree.